(99) Going fast! "The Gilligan" - Everyday (1 PM) 5 bookings in the past week. 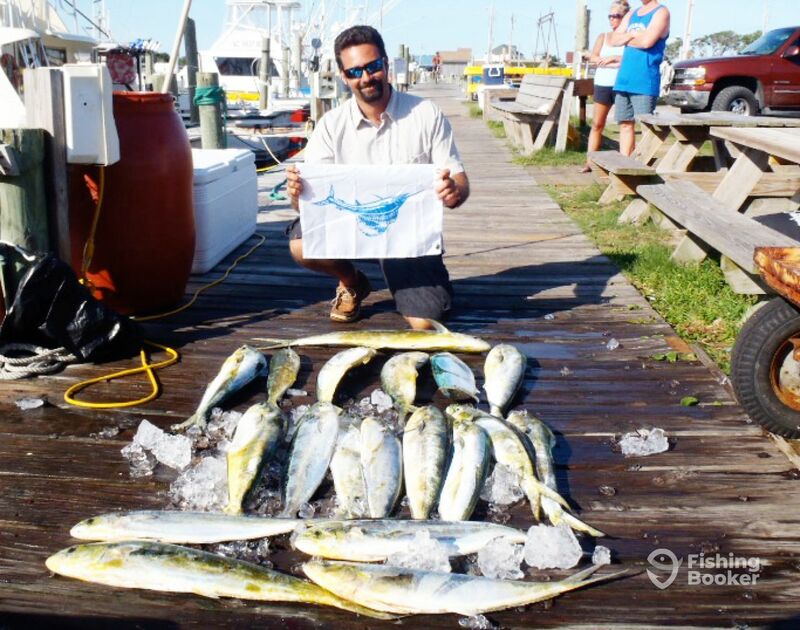 Book your next trip with Islands and Tides Charters, and join Captain Shay Siegel for a fin-filled adventure! Trips depart from the Broad Creek Marina on Hilton Head Island, South Carolina. Capt. 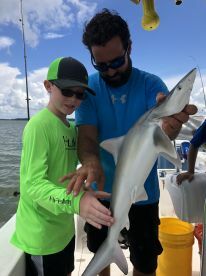 Shay offers a wide variety of options, including inshore, nearshore, and offshore fishing trips in addition to shark fishing, eco tours, and Tuesday night Shelter Cove fireworks viewing. 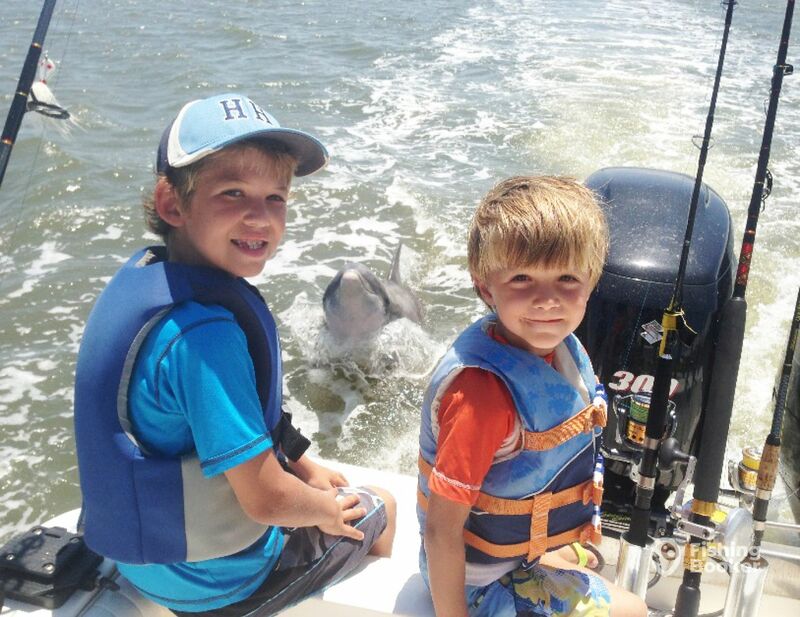 Anglers of all ages and skill levels are welcome, so come aboard for an experience your entire family will enjoy. Capt. Shay operates a 22’ Pro Sports Catamaran powered by twin 140 HP Suzuki four stroke gas motors. This vessel’s design provides a stable ride along the waves, while the gas motors ensure that you won’t get sick from inhaling diesel fumes. There is room for six passengers on board, but the boat is most comfortable with four passengers when heading offshore. Capt. Shay was raised in the low country and has been a fishermen since his childhood. 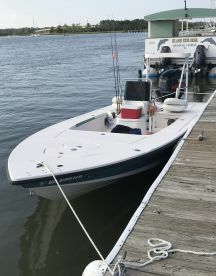 He knows these waters well and is prepared to cater to your expectations, whether you ask him to take you inshore, nearshore, or as far as 20 miles offshore. 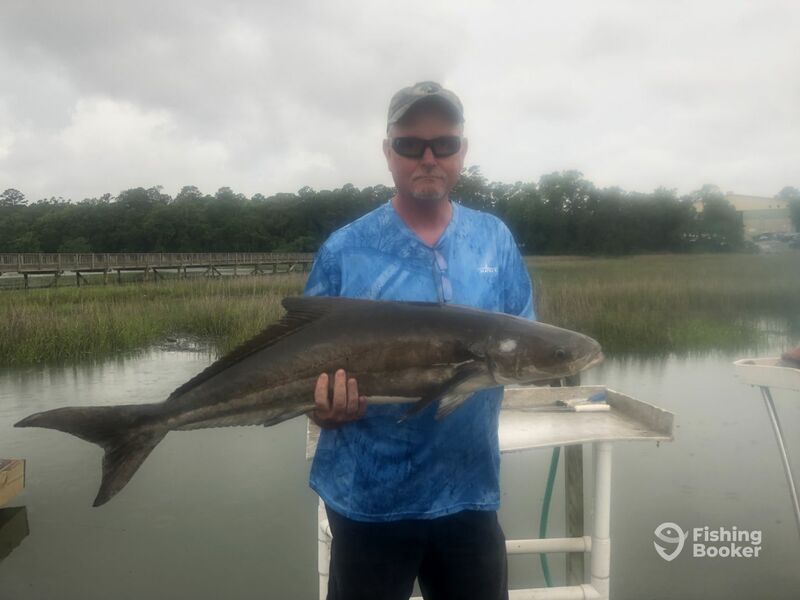 Fishing inshore gives you a chance to target Redfish, Trout, Black Drum, and Flounder, while venturing a little farther out allows you to add some great bottom fishing to the mix. On the other hand, there’s plenty of big trophies to be found offshore, including Mahi Mahi and Sailfish. 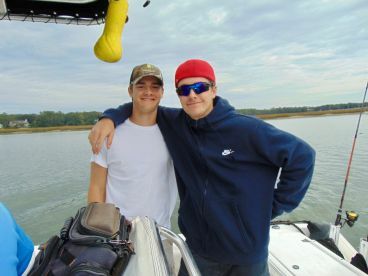 Depending on where you choose to fish and your target species, Capt. Shay will help you try your hand at trolling, bottom fishing, topwater fishing, jigging, and more. 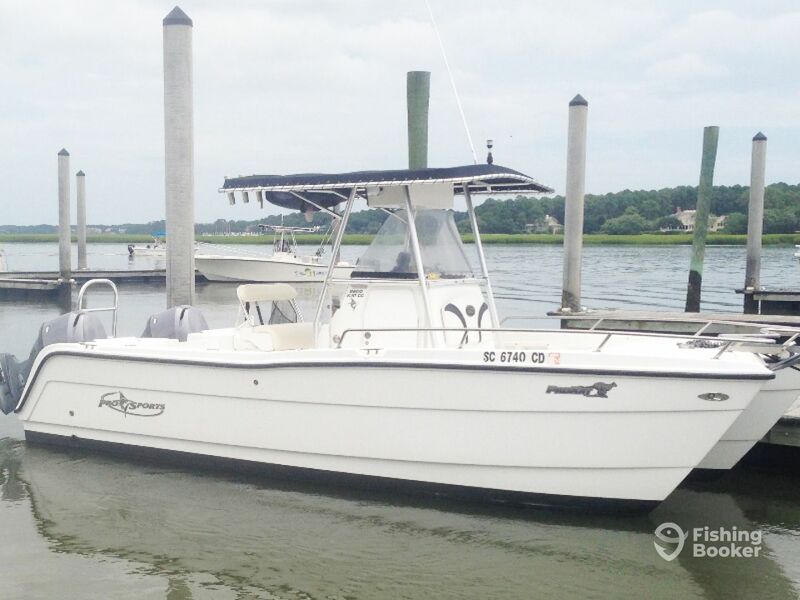 Islands and Tides Charters include a fishing license and an assortment of quality fishing gear. You will find a cooler with ice on board where you can store your food and drinks. Hard liquor is prohibited, but you are welcome to bring beer and wine. In keeping with tradition, please refrain from bringing any bananas on board! 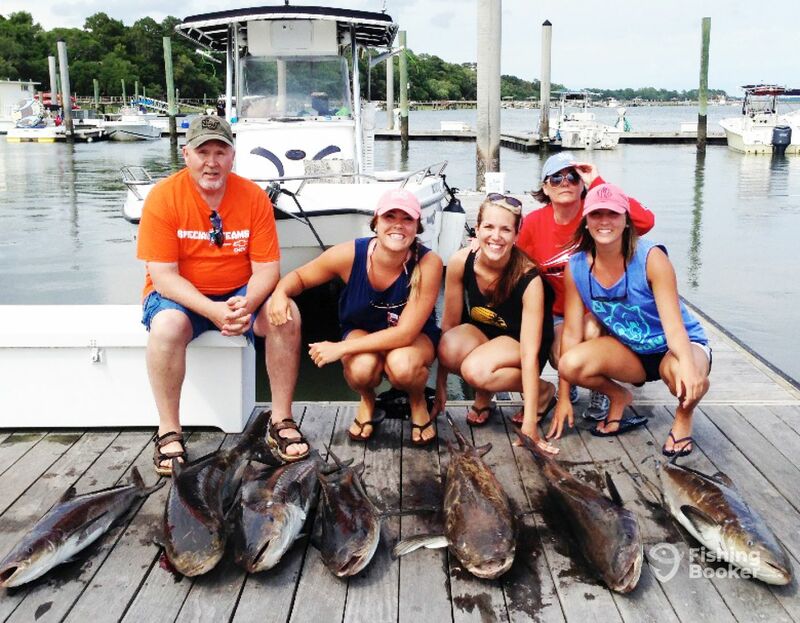 Book your trip today and discover everything the waters of Hilton Head Island have to offer! This trip includes eight hours of offshore fishing, up to 20 miles out. Come aboard a fish for Mahi Mahi, Billfish, Sharks, Snapper, Grouper, and much more. Trip price covers the first 4 passengers. A fishing license and all gear are provided. Be sure to bring your own food and drinks (no hard liquor). A customary tip of 20% is much appreciated. Spend your weekend fishing offshore! This full day trip will take you up to 20 miles out, where you can target big game fish like Mahi Mahi. Trip price covers the first 4 passengers. A fishing license and all the gear you need is included. Just be sure to bring your own food and drinks. A tip of 20% is customary. Come aboard for seven hours of fishing, up to 10 miles from shore where you can target Mahi Mahi and other big game fish. All the gear you need is provided. Just remember to bring food, drinks (no hard liquor), and a customary tip of 20%. This seven hour trip will take you up to 10 miles from shore, where you can target bigger fish. Trip price covers the first 4 anglers. A fishing license and gear are included. Be sure to bring your own food and drinks (no hard liquor). The departure time can be flexible upon request. This trip is available on weekdays only. Come aboard for five hours of night fishing for Blacktip Sharks, Lemon Sharks, and more. A fishing license and gear are provided. Please note that a tip of 20% is customary. 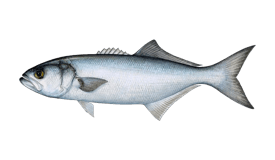 This six hour trip gives you a chance to target many nearshore and offshore species swimming within 5 miles of the coast. 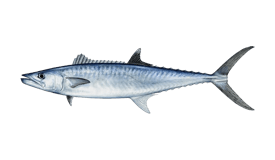 You might catch Mahi Mahi, King Mackerel, Jack Crevalle, Snapper, Grouper, and much more. A fishing license and gear are provided. A tip of 20% is customary. This six hour afternoon trip will take you up to 5 miles from shore, where you can target a variety of nearshore and offshore species such as Snapper, Grouper, Cobia, Kingfish, Mahi Mahi, and more. A fishing license and gear are included. Be sure to bring your own food and drink (no hard liquor). A tip of 20% is customary. This weekend morning trip includes 6 hours of nearshore and offshore fishing (up to 5 miles out). You can target Snapper, Grouper, Mahi Mahi, Cobia, and much more. Fishing licenses, all gear, and a cooler with ice are provided. Just bring your own food and drinks (no hard liquor). A tip of 20% is customary. This trip starts at 5pm, available only on Tuesdays. Come enjoy great inshore fishing while viewing a fantastic display of fireworks in Shelter Cove. A fishing license and gear are provided. Be sure to bring your own food and drinks (no hard liquor). 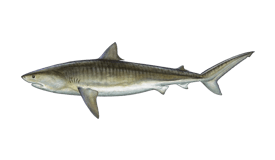 This evening trip gives you a chance to fish for sharks when they are biting the most! 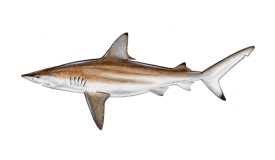 Come reel in Blacktip Shark, Lemon Shark, and other species. A fishing license and gear are provided. Please note that a tip of 20% is customary. 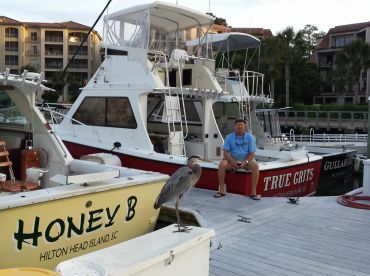 This morning trip includes 5 hours of fishing, either inshore or nearshore (be sure to tell the captain ahead of time). 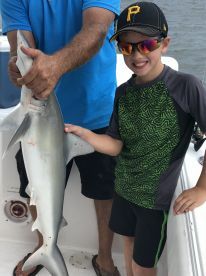 Depending on your interests, you can catch Redfish, Black Drum, Speckled Trout, Jack Crevalle, Cobia, Sharks, and much more. Fishing gear and a license are included. A tip of 20% is customary. You are encouraged to bring your own food and drinks. This midday trip includes 5 hours of fishing, with your choice of inshore or offshore. 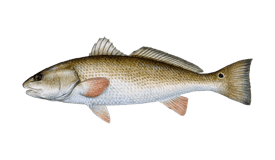 Inshore you can fish for Redfish, Black Drum, Flounder, Speckled Trout, and more. 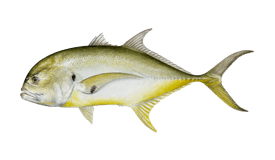 Nearshore you can target bottom fish and pelagic species near the reefs, such as Cobia, Jack Crevalle, Snapper, and Grouper. A fishing license and gear are provided. Be sure to bring your own snacks and a tip of 20%. This 5 hour weekend morning trip is a great chance to catch some fish without spending all day on the water. You can fish inshore for Redfish and other iconic species or head to the nearshore wrecks and reefs for Snapper, Grouper, and more. Just tell the captain what you have in mind. All gear and a license are included. Be sure to bring your own snacks. A tip of 20% is customary. 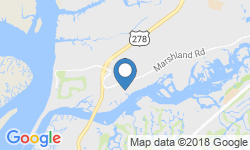 This 4 hour morning trip gives you a chance to fish inshore or nearshore for a variety of species. 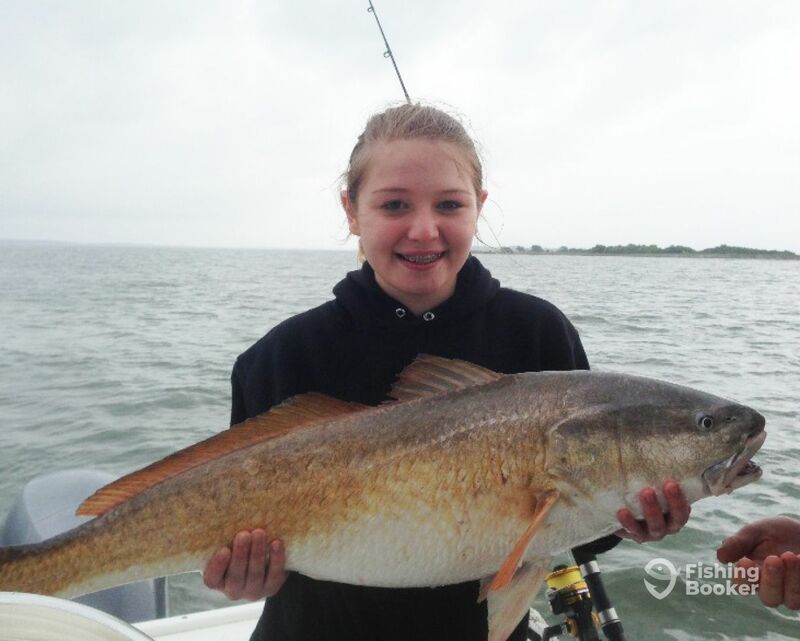 You might catch Redfish, Black Drum, Jack Crevalle, Cobia, sharks, and much more. 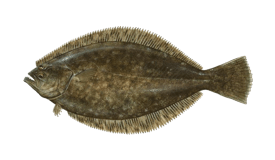 Be sure to let the captain know whether you plan to fish inshore or nearshore before your trip. A fishing license and all gear are included. Please note that a tip of 20% is customary. It's your choice of inshore or nearshore fishing on this 4 hour midday trip. 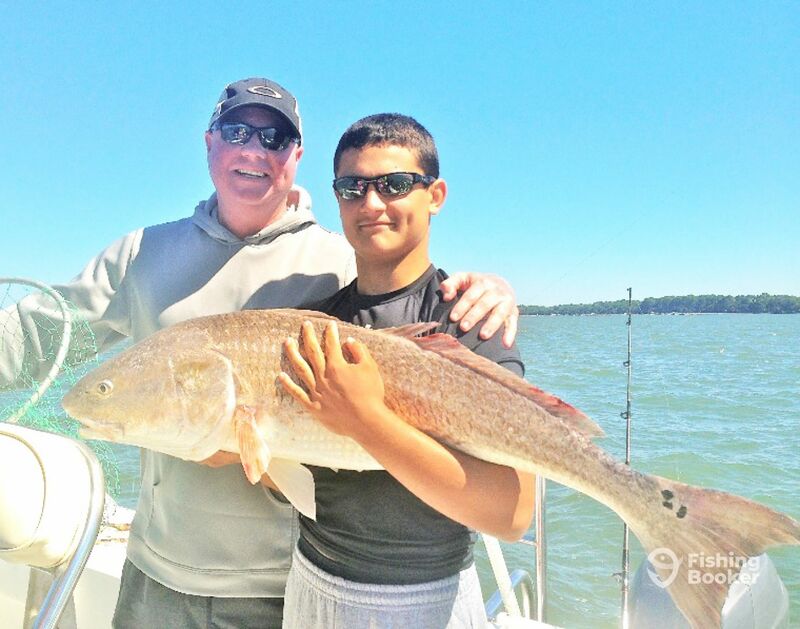 You can target Redfish, Flounder, and other inshore species or head to the nearshore wrecks and reefs for great bottom fishing. Just be sure to tell the captain what you have in mind when you make your reservation. Everything you need is provided, including a fishing license. Just bring your own food and drinks (no alcohol). This four hour trip is a great way to end your day. 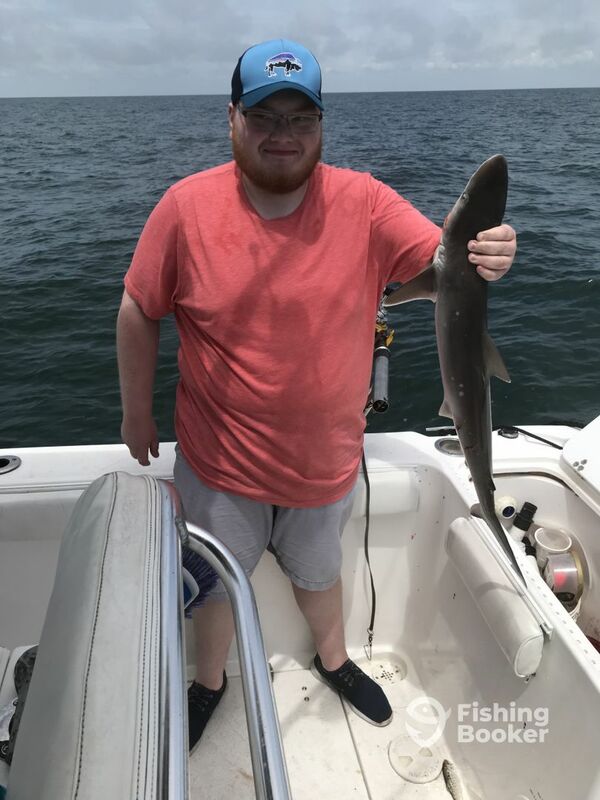 Come aboard and fish inshore or nearshore for a variety of species such as Snapper, Grouper, Jack Crevalle, Redfish, Flounder, and much more. 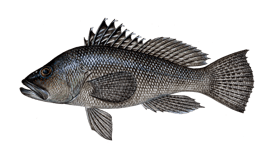 Be sure to leave a note with your reservation regarding whether you prefer inshore or nearshore fishing. A tip of 20% is customary. Be sure to bring your own food and drinks. Start your weekend off with four hours of fishing! Tell the captain whatever suits you, whether it's fishing inshore for Redfish, Trout, Flounder, and Black Drum, or hitting the reefs nearshore for Snapper, Grouper, and more. A fishing license and gear are provided. Just bring your own food and drinks. A tip of 20% is customary. 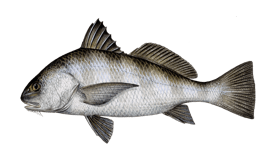 This afternoon trip includes 4 hours of fishing, with your choice of inshore or nearshore. A fishing license and all the gear you need is provided. Just be sure to let your captain know whether you prefer inshore or nearshore fishing. Please note that a tip of 20% is customary. You are encouraged to bring your own food and drinks. This 3 hour fishing trip is available every day of the week. 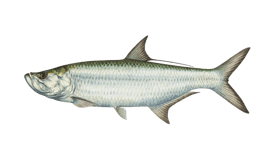 You can fish inshore or nearshore for a variety of species such as Redfish, King Mackerel, Jack Crevalle, and Sharks (please leave a note regarding whether you would like inshore or nearshore). Fishing licenses, all fishing equipment, and a cooler with ice will be provided. Just bring your own food and drink. A customary tip of 20% is much appreciated. This 3 hour trip in the afternoon is a great way to unwind during the week. 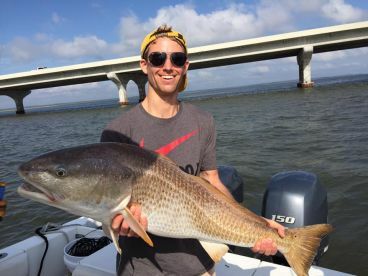 You can fish inshore for Redfish, Flounder, Black Drum, and more, or head a little further out for reef fishing and a chance to land larger fish. Be sure to let your captain know which you would prefer ahead of time. A fishing license and all gear are provided. Just be sure to bring your own food and drink (no hard liquor). This 3 hour morning trip is available on weekends only. It's your choice of inshore or nearshore fishing, just be sure to tell the captain ahead of time. 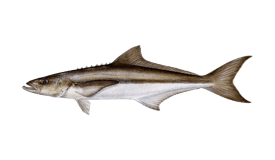 Possible catch includes Redfish, Flounder, Black Drum, Cobia, Jack Crevalle, Seabass, Sharks, and more. A fishing license and gear are provided. Please note that a tip of 20% is customary. ProSports (Catamaran) originally built in 2002. Powered by 2 140HP Suzuki engines, with a maximum cruising speed of 25 knots.